Some time ago I did smocking on gingham, using the checks as a natural grid for spacing the stitches and forming pleats. That eventually became a sundress, and I liked it enough to want to keep doing it. 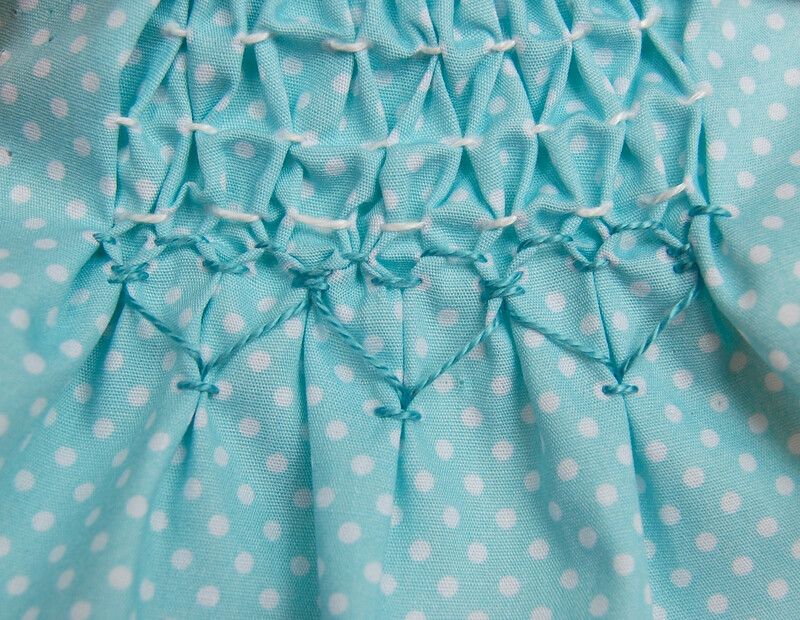 So some smocking practice this week, this time on dots. 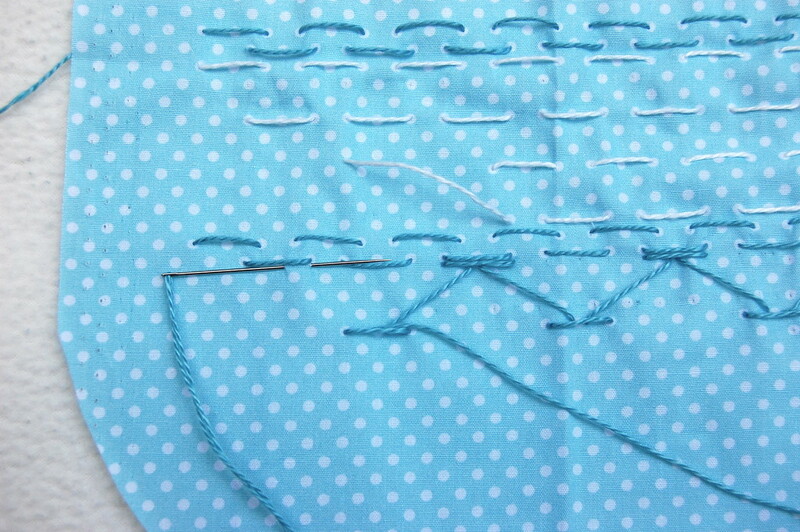 In that first smocking tutorial, I sketched out some smocking stitches and patterns. 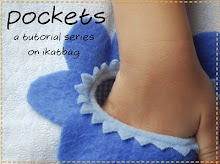 If you already know how to smock, or have been lucky enough to have someone show you where exactly to poke the needle in and out of the fabric, you'll find those sketches easy to follow. 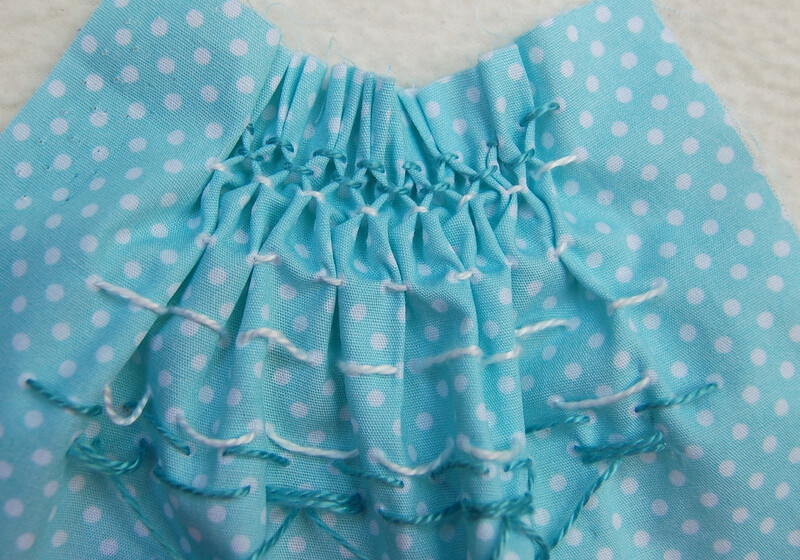 If you are new to smocking, though, it is trickier to position the stitches so that they are regular and even, especially if the fabric is already all scrunched up in pleats. I normally stitch and pleat as I smock, adjusting the tension as I go. 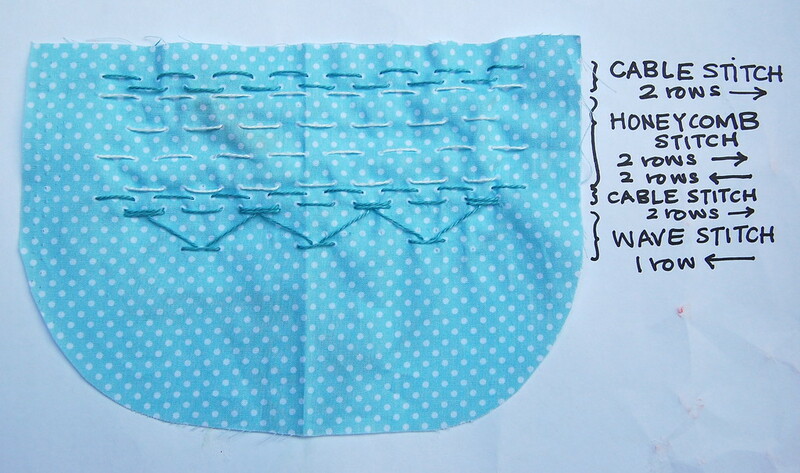 But last night as I was smocking and spacing out, I suddenly and quite by accident found a way to smock faster and illustrate in less diagrams what the smocking stitches look like. After congratulating myself with, "Well, look what you invented because of sheer laziness! The First Ever Smocking Map!!!!" I realized that this is very likely how everyone already does it, except me. Ah, well. Anyway, I am sharing this because it is such an immediately visual thing, and I am such a sucker for visual aids. It's a teacher curse. 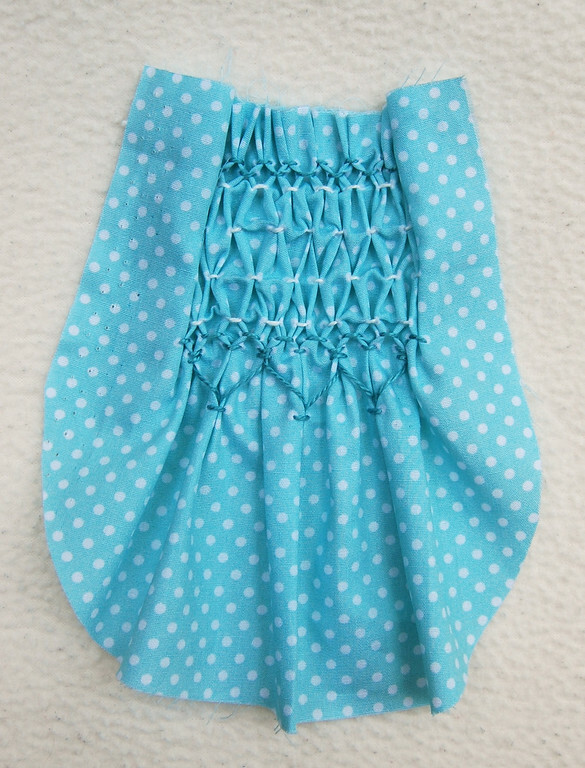 So here it is - A Smocking Map! 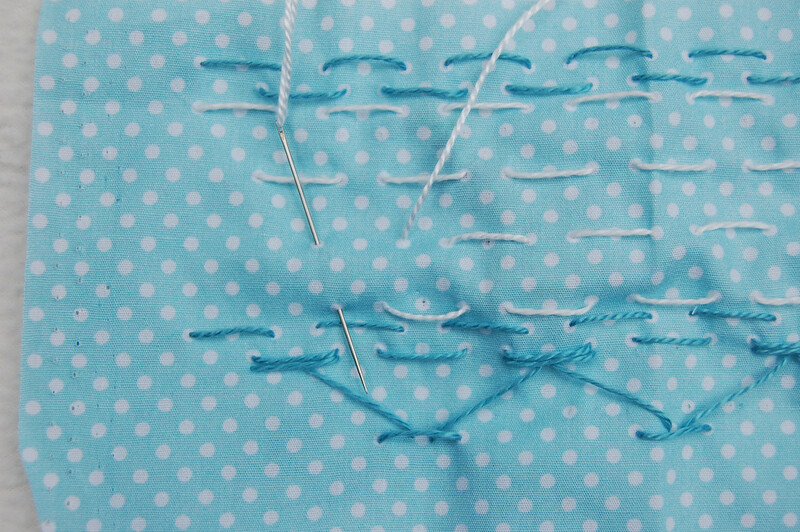 Looks like regular old running stitch, you say? Where are the pleats? And why is everything so flat? How is this smocking? This, skeptical people, is Smocking: Pre-Tension. (Geddit - Pre-tension? Pretension? Hahahahaha! Hit me on the head, someone.) Ahem, you know, like how you gather fabric by sewing a long straight stitch and then pulling it into folds? 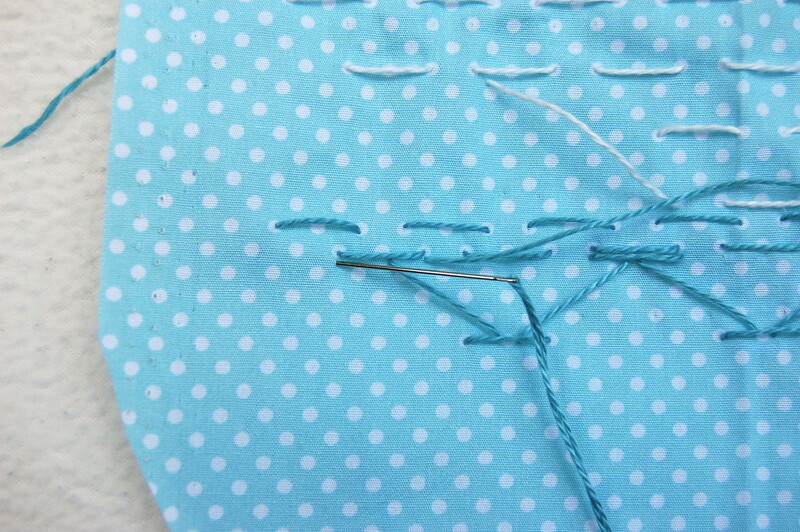 easier to poke the needle in and out of the right places to get an even pattern. easier to teach smocking to other people. more fun for lazy people. 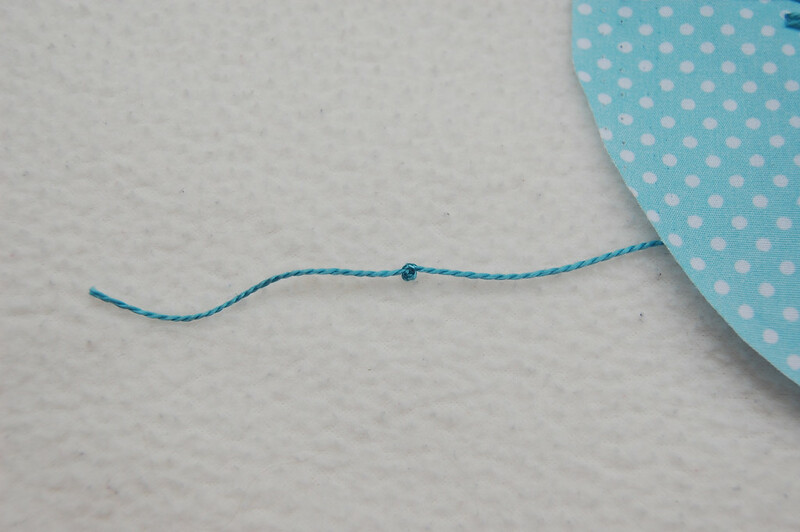 You thread a needle with a very long thread and knot it about 2" from the end (this is to tie thread ends together later). Then you poke it through the first dot in your pattern. 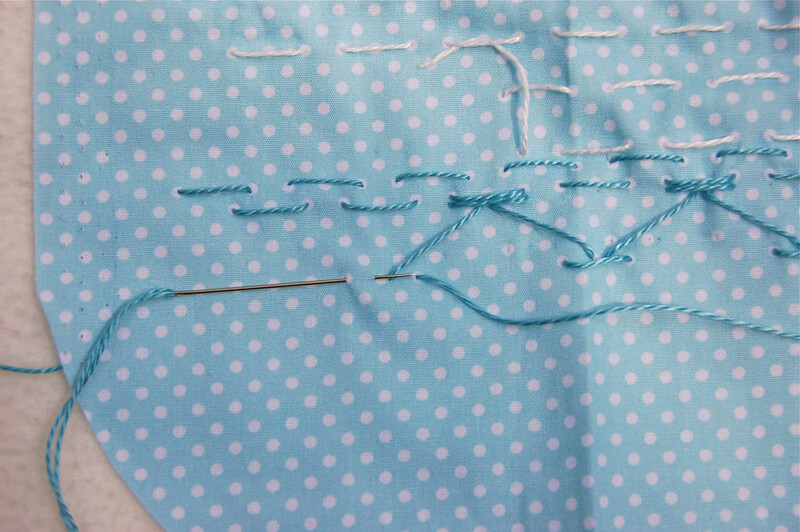 You sew the row(s) of stitches - see the tutorial for sketches or just follow the map. 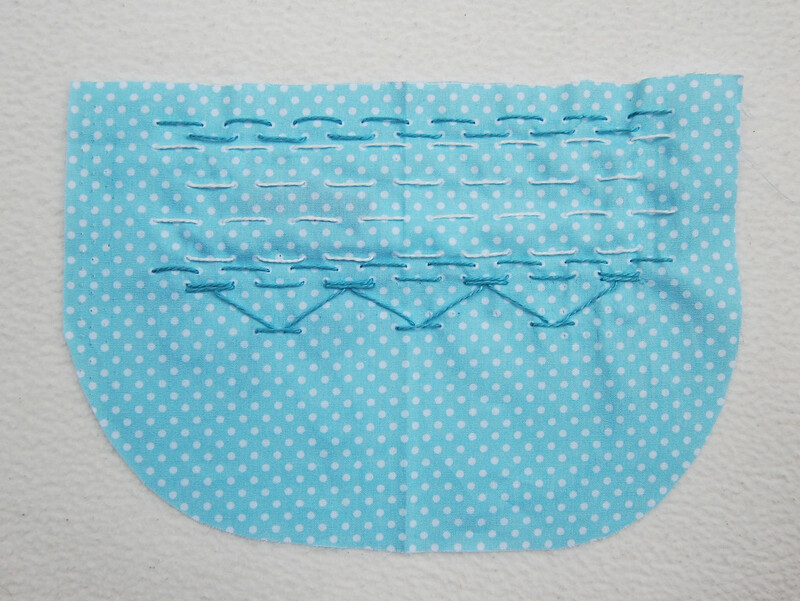 With the fabric flat, you can more easily count the dots and ensure the stitches are evenly spaced and correctly positioned. 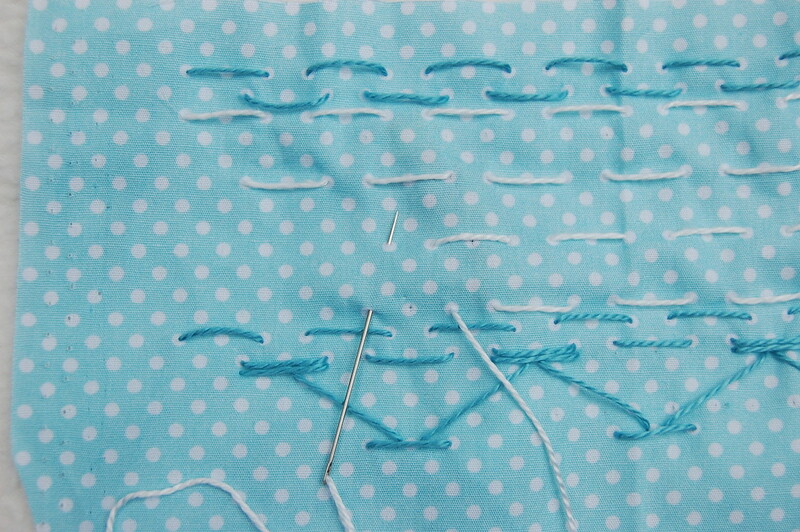 When you get to the end of your rows, remove the needle but do not knot off the thread. 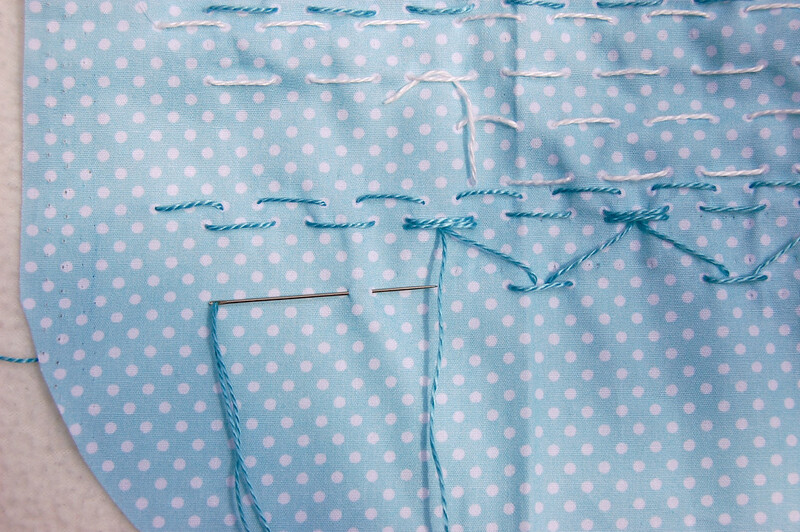 Thread the needle with thread of a different color and begin a different-colored row of stitches. Here is the pleated smocking panel- quite untidy, because I didn't take the time to really manipulate the pleats nicely. If you had actually ironed the fabric into pleats before stitching, you'd get much sharper and more regular pleats. I always realize this on hindsight, of course. That's what I get for spacing out. P.S. Did you notice how many shades of blue/teal/whatever that same fabric is in different photos? Note to self: do not experiment with camera settings as if you knew how to operate a camera. now that is cool. you make it look so easy. Hmmm...nice try, but smocking still scares me! Although, this makes it less so. Woah! You're so right about the camera shading! If you didn't say anything, I would never have known! I read this post because you make me laugh, not because I have any intention of trying smocking. I love smocking and buy it when I see it. Maybe I could learn with a teacher next to me. . . but in the meantime, I just love your puns and self-deprecatory manner. And, is that a pocket for something or just The Example? It's very pretty. Your "smocking map" does a fantastic job of differentiating b/w shirring and smocking - my circa 1970's sewing guides illustrate in black/white/orange detail couldn't even hope to achieve!! 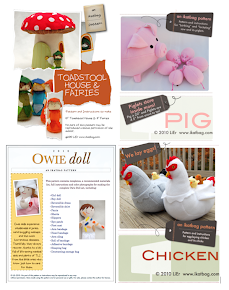 Very nifty! Thank you for the further explanation. Such a good tutorial! Thank you. I'm still trying to find the right moment to experiment with a smocked checked dress following your previous tutorial! Before the summer is out I will do so. Thank you SO much. 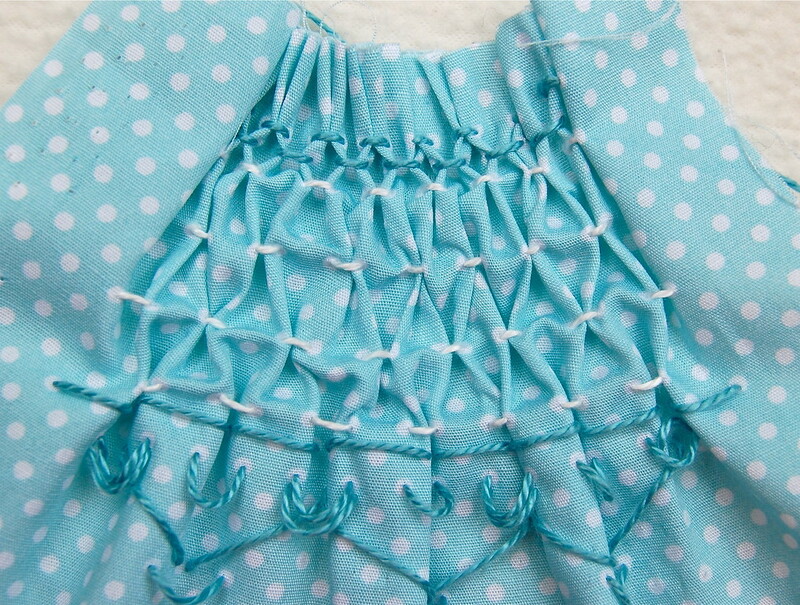 I wore smocked dresses when I was little and have always wanted to do it but the only person I know who knew how has a smocking machine and made it sound like I needed one to do it. I lOVE this method. I can't wait to smock! Hi, Thank you for this! Makes it look easy! 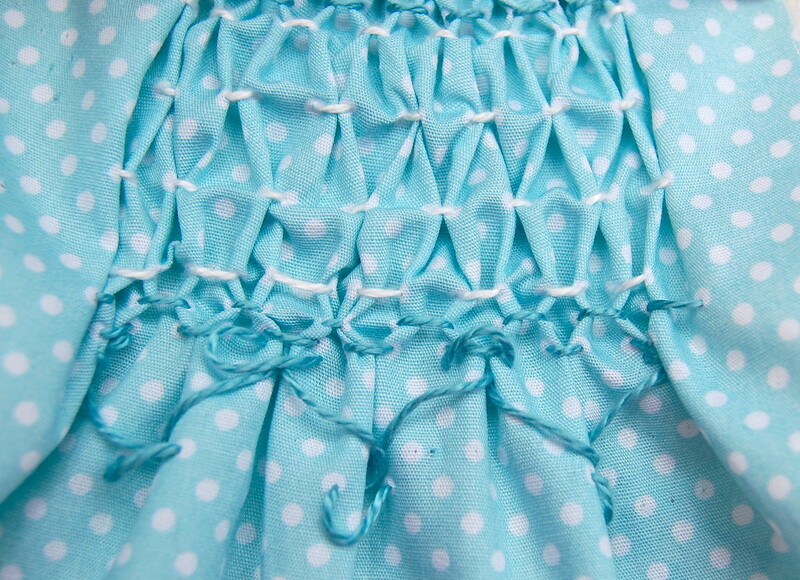 But I do have a question - what are the widths of the smocking before and after tensioning, please? 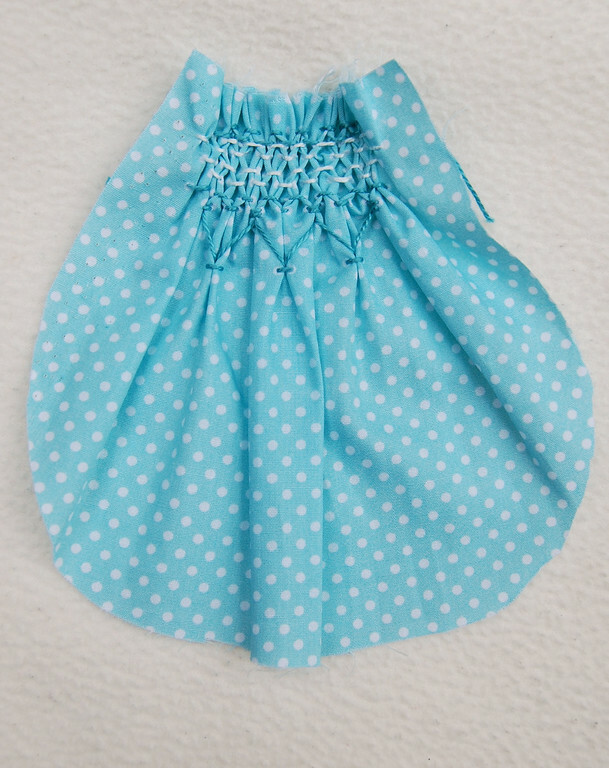 I'm going to try it to make a dress for my little girl. Anonymous: I don't know. You'll need to mark out one side of the dress (e.g. 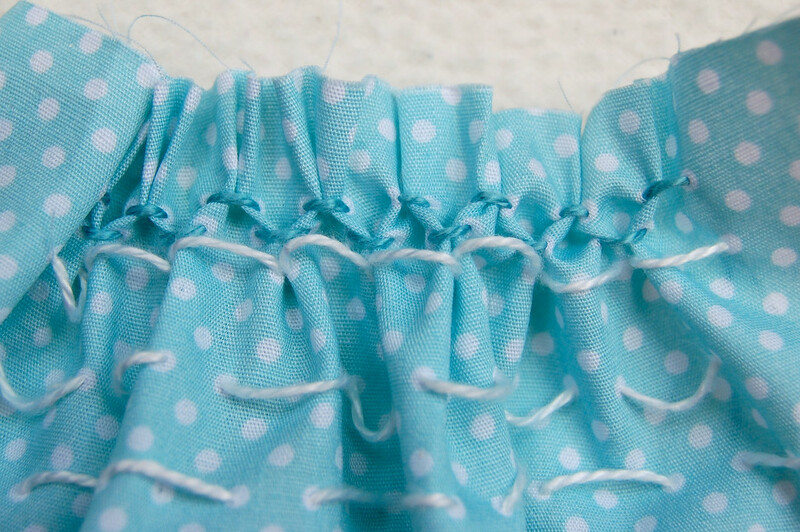 the left side seam and armscye) and not cut the right side until the smocking is done. Perhaps someone else knows? oh it's great, must try. fun! Now I want to go do some smocking. 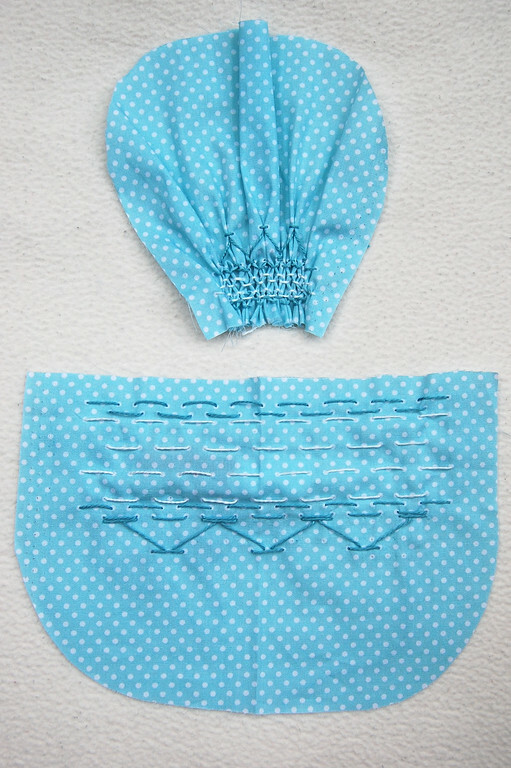 I've done cheater smocking with zigzagging over elastic thread. I have bought Grace Knotts book on smocking & am still in a quandry how to get the pleats perfect. I have to try this method!! Love it.